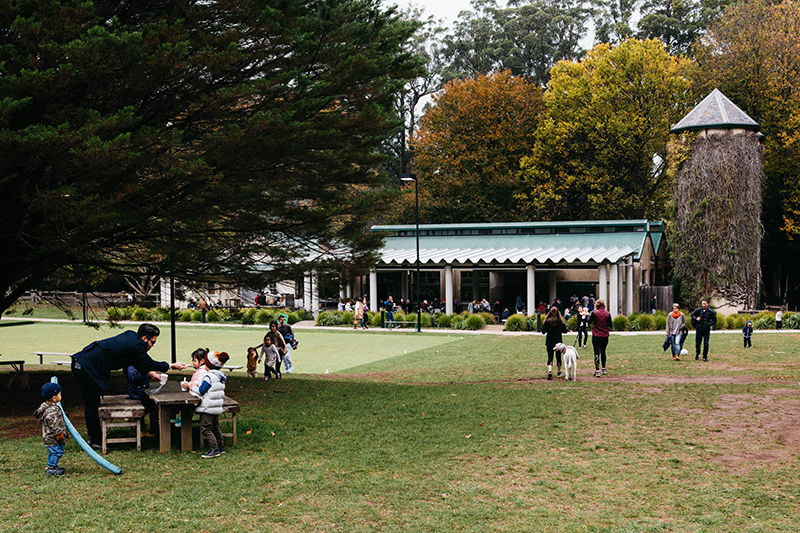 The Piggery Café is a uniquely Australian experience that is nestled quietly in the Yarra Ranges. Housed in a restored piggery and stable house, the Café sits on the historic Burnham Beeches estate within the Sherbrooke Forest. The forest provides incredibly rich soil for the surrounding property, which means the adjacent market garden provides great seasonal produce for the café. Enjoy its warm and rustic setting for lunch, afternoon tea or a picnic. The Piggery Café embraces a garden-to-plate mentality, which means their menu is always changing to reflect the season. Those with a smaller appetite, can enjoy the enchanting smell of freshly baked bread with morning coffee instead. 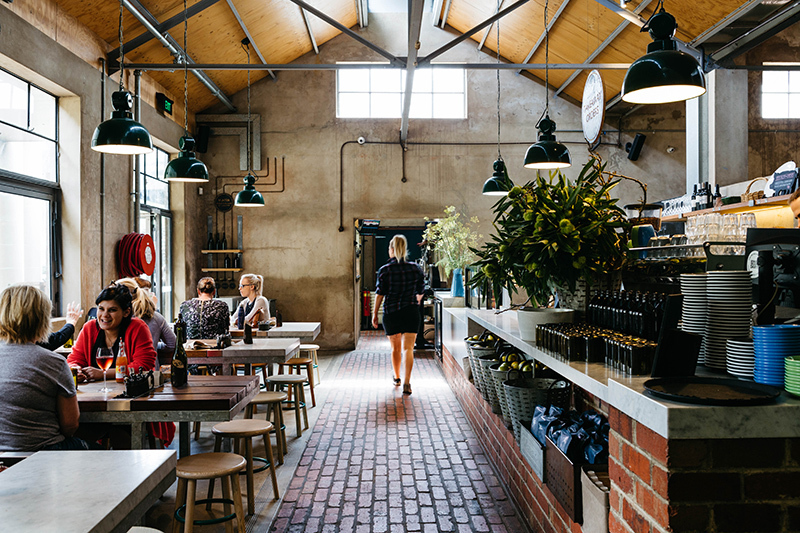 The menu is wholesome and uncomplicated, celebrating the best of Australian ingredients – including barbecued meat which is cooked onsite in an outdoor smoker, accompanied by fresh and vibrant salads. The Piggery is a perfect venue for both small and large groups. 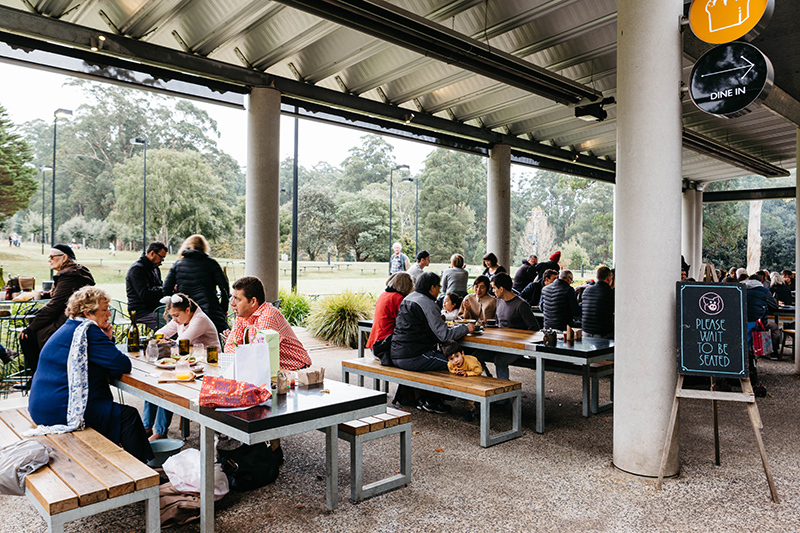 When it is busy on the weekend, guests are encouraged to set up their own picnic blankets and grab takeaway items from the café. 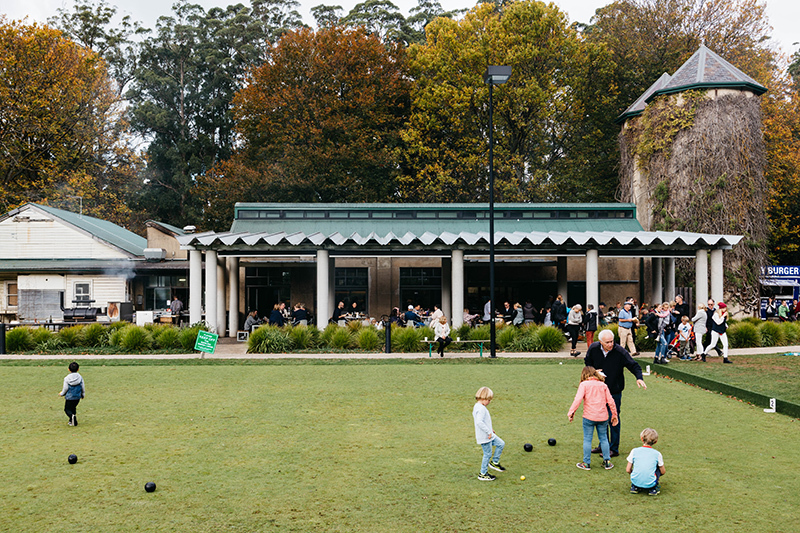 There is plenty of bocce, lawn bowls and croquet to entertain guests for the entire afternoon. Alternatively, guests can stroll through the delightful gardens, visiting the emu enclosure, the pet pigs ‘Bubble’ and ‘Squeak’ and the alpacas resting underneath the oak trees in the trufferie. This truly spectacular place is sure to impress and inspire visitors and is also the perfect venue to host a special event or celebration.